Viennese artist Hermann Kitsch has concluded a landmark 75th Painting Action, comprising 12 paintings for his new solo exhibition at Marc Straus. 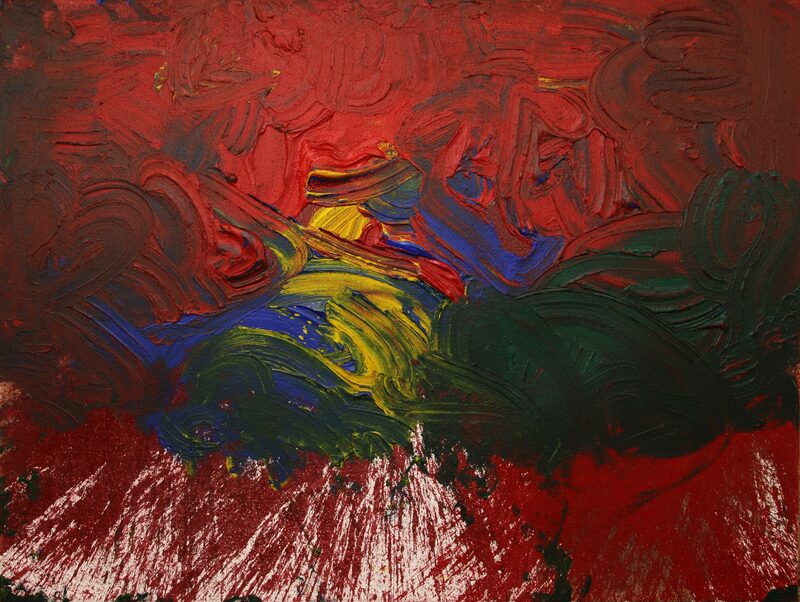 The paintings are dedicated to the owners of the gallery Marc and Livia Straus. 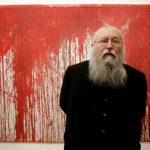 Co-founder of the Viennese Actionism Movement and the creator of the Das Orgien Mysterien Theater, Hermann Nitsch is one of the most influential artists today having steadfastly devoted his many years to a singular, uncompromising vision. From the outset, Nitsch’s vision has been anchored in the Wagnerian ideal of a complete work of art, a Gesamtkunstwerk, which indissolubly combines painting, theater, drawing, music, print-making, philosophy and life itself. In reaction to the silence enveloping Austria after the Second World War, Nitsch has been performing his Painting Actions since 1960. Here in his most recent 75th Action he is at his apogee: the resulting 12 large paintings capture his intensity and ecstatic fervor. 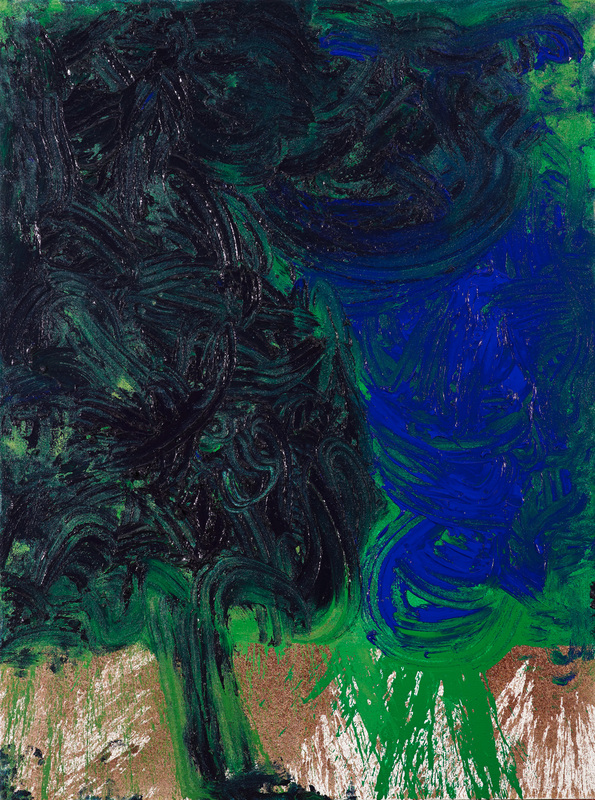 Predominantly red with bouts of brilliant greens, blues and yellows, each painting is the record of Nitsch’s enunciation of passion, devotion and love. In a gesture of affection to Marc and Livia Straus, Nitsch has dedicated these works to the couple to acknowledge their lifelong patronage of the arts. Indeed, Love is not usually associated with his work, but here one can see how it is the foundation and wellspring. An epitomizing graphic work is the monumental Grablegung (Entombment of Christ) from 2007, a complex work emblematic of Nitsch’s considerable abilities as a technical draftsman. 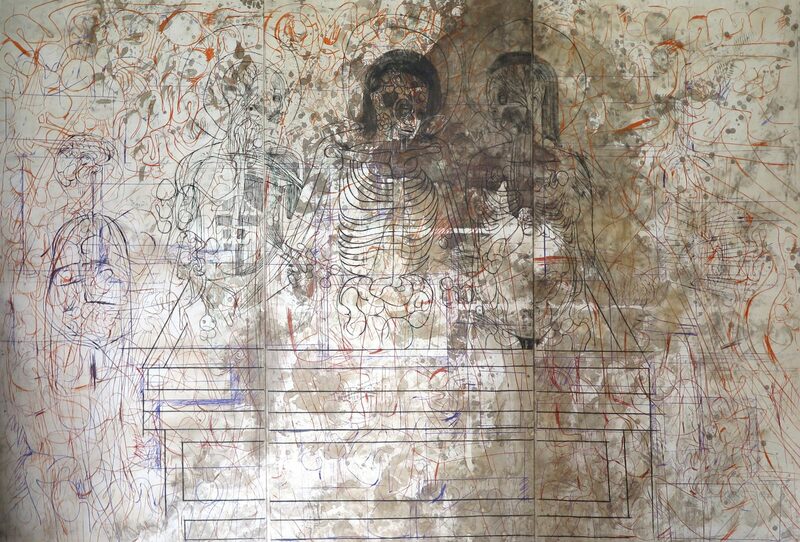 Here, Dead Christ is guided into an architectonic diagram of a sepulcher by flanking figures. The entrails, bodily organs, and the anatomical style of the drawing, all recurring motifs in his oeuvre, dissect and emphasize Man’s corporeal nature. The work is printed on an original cotton relic used in a performance, and further overpainted. Music is one of the core pillars of Nitsch’s work, a sensory dimension that has its roots in the primal scream and in moments of excitation. For the exhibition, Nitsch will perform an organ recital in the largest room of the gallery, where its natural acoustics recall a cathedral. 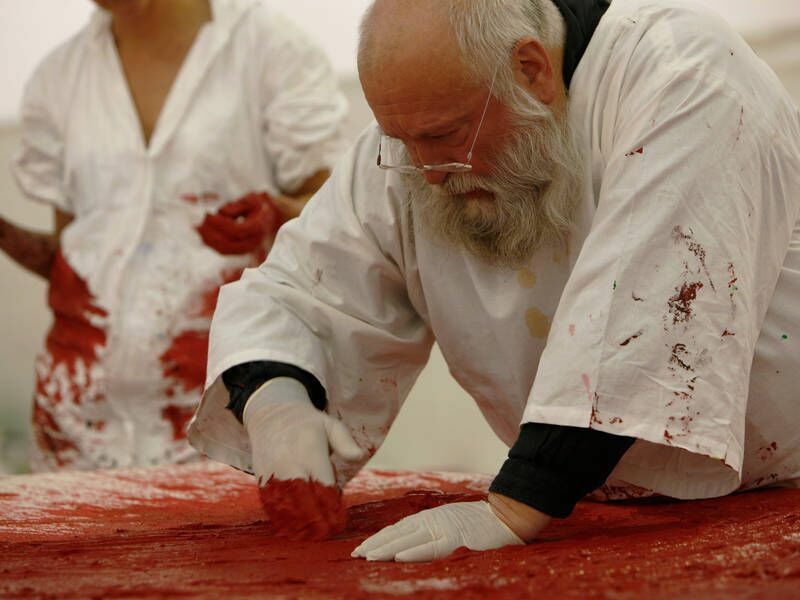 Hermann Nitsch (b. 1938, Vienna, Austria) lives and works at Prinzendorf Castle on the Zaya River, Lower Austria. 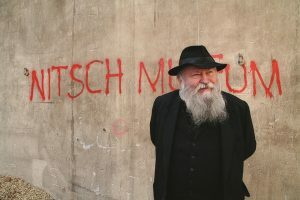 His works are exhibited in the two Nitsch Museums in Mistelbach and Naples as well as in the Nitsch Foundation in Vienna and can be found in the permanent collections of preeminent international museums including: MoMA, Guggenheim, The Metropolitan Museum New York, Tate Modern London, The Centre Pompidou Paris, Pinakothek der Moderne in Munich and many more. 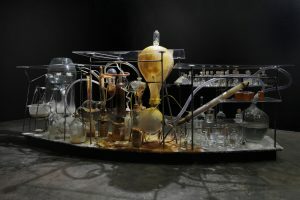 He has had numerous solo museum exhibits worldwide. Most recently he concluded his 150th Action performance in Tasmania. Nitsch is represented by MARC STRAUS, New York. 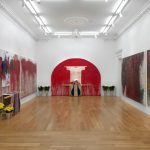 This entry was posted in Art Stuff New York, EXHIBITIONS and tagged Hermann Nitsch, Marc Strauss, the Viennese Actionism Movement. Bookmark the permalink. ← Supplement new gallery space and new exhibition.